Wether you are looking for a new home, extensive remodel or new kitchen & bath, SOS Home Services prides itself on providing complete customer satisfaction as a premier building company. Chantre is located in Woburn, MA and we specialize in custom kitchens, baths, cabinetry, and more. We are committed to provide the highest level of quality and customer service in the industry. We're here to make it easy by carefully managing and coordinating the entire project from beginning to end. Ideal Kitchens is here to give you the very best new kitchen experience possible! Red House is an award-winning design build & professional remodeling firm, specializing in full-house renovations; custom kitchens, baths & built-ins; historic restoration & additions. 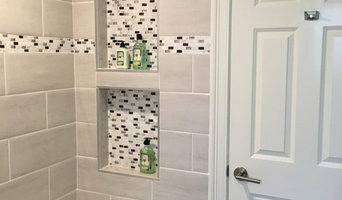 We are a full service Remodeling, Carpentry and Painting company, specializing in Kitchen and Bath and Basement Remodeling. DFC is a full-service residential Design-Build contracting company specializing in high-end remodeling, custom cabinetry, construction management and fine carpentry. Kitchenmakers BCCS Windoor Group is a Massachusetts based company. We are licensed contractors, full service kitchen and bathroom renovations are among our specialties. 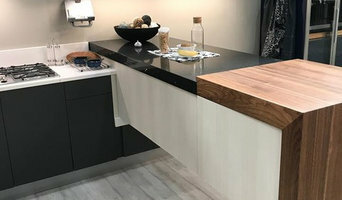 Our custom cabinetry professionals provide you with design services and unique ideas for utilizing space as well as making your time in the kitchen more pleasant. We will analyze your needs in your home or office; together with your ideas and our knowledge and experience. We will advise you on function, efficiency and design, and produce a design that will please you both practically and economically. Masters Touch Design Build provides superior service in new home construction, design build, remodeling, and home design services. You can rely on Goguen Construction, Inc. for all design needs, whether you are building conventional or pre-engineered buildings. We will quickly make your house a home again! A.W. Puma Restoration is a company founded on the principles of quality and integrity. We pride ourselves on being able to provide personable service and quality craftsmanship. Best of Houzz 2016. For over 20 years, Fay's has been serving the greater Nashua community, offering Wood-Mode & Brookhaven quality custom cabinetry with their industry-leading lifetime warranty. Our all new showroom features some of the latest styles and design innovations from Wood-Mode's diverse style portfolio. Whether it's a new kitchen, bathroom, office or any other space in your home, we're here to help you make your vision a reality. At LaFauci Tile & Marble, we are privileged to be your leading tile and marble supplier. We bring you the finest products at competitive prices, with exceptional customer service. Middlesex County's Leading Renovation Showroom - 5x Best of Houzz! We are general contractors with a 3,000 square foot showroom offering 5 cabinetry lines, plumbing, tile and counter top selections. We are proud to be a Kohler registered showroom! 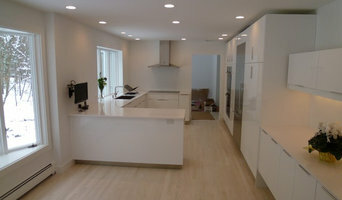 We are a full service Remodeling, Carpentry and Painting company, specializing in Kitchen, Bath and Basement Remodeling. Our customers are our top priority and we strive to exceed their expectations by creating the vision they have for their home, within their budget. We provide quality craftsmanship, strong teamwork and outstanding customer service throughout all stages of the remodeling process. We specialize in updating and elevating your historic home into what it should be, while making sure to keep the historic beauty that New England is known for. Kitchens and bathrooms are two of the hardest-working spaces in any home. When it’s time to update them, ensure that they stay at peak functionality by hiring a Holliston kitchen and bathroom remodeler. With an eye for aesthetics, a practical approach to layout and design, and the skills of a contractor, a bath or kitchen remodeler in Holliston, MA can help you execute a remodel suited your personal style and needs. What does a Holliston kitchen and bath remodeling expert do? 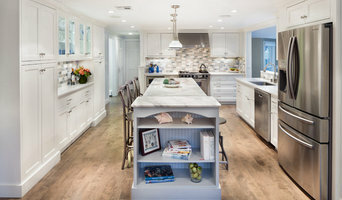 Licensed Massachusetts kitchen and bath remodelers are contractors who specialize in altering the structure of an existing space, rather than building one from the ground up. Because he or she must deal with a previous builder’s work, the job can get more complicated than new construction. You might wonder why they often specialize in both kitchens and bathrooms, but if you think about those two spaces, they actually have a lot in common. Kitchens and bathrooms include an abundance of fixtures that require careful planning and installation, including sinks, faucets, tubs and toilets that all need water hookups and drainage. They also use similar materials, such as tile and stone for countertops and flooring, due to the nature of their use. So it makes sense that Holliston kitchen remodelers and bathroom remodelers be one in the same. A bathroom or kitchen remodeler translates architectural plans from page to reality; some are also trained to provide design services so that you don’t have to hire a separate pro. Like a general contractor, a kitchen and bathroom remodeler in Holliston, MA is responsible for hiring and supervising subcontractors and providing materials when necessary. They also should have a thorough knowledge of Massachusetts building codes and construction-related legal issues, as well as current design and product trends. Here are some related professionals and vendors to complement the work of kitchen & bath remodelers: Woodworkers & Carpenters, Kitchen & Bath Designers, Interior Designers & Decorators, Architects & Building Designers, General Contractors. Find a Holliston kitchen and bathroom renovator on Houzz. Narrow your search in the Professionals section of the website to kitchen and bathroom remodelers in Holliston, MA. You may also look through photos of Holliston, MA spaces to find kitchens or bathrooms you like, then contact the bathroom or kitchen remodeler who worked on it.